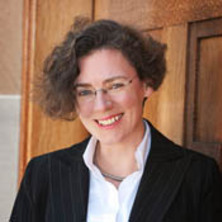 Margaret S. Barrett is Professor and Head of the School of Music at the University of Queensland. Her research has investigated issues in the pedagogy of creativity, early musical development, the development of musical expertise, the meaning and value of engagement in music and arts activity, and music program evaluation. This research has been funded by grants from the Australian Research Council, the Australia Council for the Arts, the British Council, and a number of commissioning bodies. She has published in excess of 100 articles, book chapters, and conference papers. Recent publications include Collaborative creativity in musical thought and practice (Ashgate, 2014), Narrative soundings: An anthology of narrative inquiry in music education (with Sandra Stauffer, Springer Publications, 2012), and, A cultural psychology of music education (OUP, 2011). Barrett, Margaret S. and Stauffer, Sandra, L. (2019). Resonant work: metaphor and narrative in music learning and life. In Michael Hanne and Anna Kaal (Ed. ), Narrative and metaphor in education: look both ways (pp. 76-90) Abingdon, Oxon: Routledge. Collaborative creative thought and practice in music. Edited by Margaret S. Barrett Farnham, Surrey England: Ashgate Publishing Limited, 2014. Narrative soundings: An anthology of narrative inquiry in music education. Edited by Margaret S. Barrett and Sandra L. Stauffer Dordrecht , The Netherlands: Springerlink, 2012. A cultural psychology for music education. Edited by Margaret S. Barrett Oxford, United Kingdom: Oxford University Press, 2011. Abad, Vicky and Barrett, Margaret S. (2017). Families and music early learning programs: Boppin' babies. In Stine Lindahl Jacobsen and Grace Thompson (Ed. ), Music therapy with families: therapeutic approaches and theoretical perspectives (pp. 135-151) London, United Kingdom: Jessica Kingsley Publishers. Barrett, Margaret S. (2017). Policy and the lives of school-aged children. In Patrick Schmidt and Richard Colwell (Ed. ), Policy and the political life of music education (pp. 175-190) New York NY United States: Oxford University Press. Barrett, Margaret S. (2014). Collaborative creativity and creative collaboration: troubling the creative imaginary. In Margaret S. Barrett (Ed. ), Collaborative creative thought and practice in music (pp. 3-14) Farnham, Surrey, United Kingdom: Ashgate. Love, Karlin and Barrett, Margaret S. (2014). Learning to collaborate in code: negotiating the score in a Symphony Orchestra Composers' School. In Margaret S. Barrett (Ed. ), Collaborative creative thought and practice in music (pp. 49-64) Farnham, Surrey, United Kingdom: Ashgate. Barrett, Margaret S. and Stauffer, Sandra L. (2012). Being and becoming a teacher: A prelude. In Margaret S Barrett and Sandra Lee Stauffer (Ed. ), Narrative soundings: An anthology of narrative inquiry in music education (pp. 159-160) Dordrecht , The Netherlands: Springer. Barrett, Margaret S. (2012). Belonging, being and becoming musical: An introduction to children's musical worlds. In Susan Wright (Ed. ), Children, meaning-making and the arts 2nd ed. (pp. 57-81) Frenchs Forest, NSW, Australia: Pearson Australia. Barrett, Margaret S. and Tafuri, Johannella (2012). Creative meaning-making in infants’ and young children’s musical cultures. In Gary E. McPherson and Graham F. Welch (Ed. ), Oxford handbook of music education (pp. 296-331) New York , NY, United States: Oxford University Press. Barrett, Margaret S. and Stauffer, Sandra L. (2012). Lives in music and musical practices: a prelude. In Margaret S. Barrett and Sandra L. Stauffer (Ed. ), Narrative soundings: an anthology of narrative inquiry in music education (pp. 21-22) Dordrecht, The Netherlands: Springer. Barrett, Margaret S. (2012). Music learning and education in early childhood: an overview. In Gary E. McPherson and Graham F. Welch (Ed. ), Oxford handbook of music education (pp. 227-228) Oxford, United Kingdom: Oxford University Press. Barrett, Margaret S. and Stauffer, Sandra L. (2012). Narrative lessons: An interlude. In Margaret S. Barrett and Sandra L. Stauffer (Ed. ), Narrative soundings: An anthology of narrative inquiry in music education (pp. 129-129) Dordrecht , The Netherlands: Springerlink. Barrett, Margaret S. (2012). Preparing the mind for musical creativity: Early music learning and engagement. In Oscar Odena (Ed. ), Musical creativity: Insights from music education research (pp. 51-71) Farnham, Surrey, U.K.: Ashgate. Barrett, Margaret S. and Stauffer, Sandra L. (2012). Singular stories and master narratives: A prelude. In Margaret S. Barrett and Sandra L. Stauffer (Ed. ), Narrative soundings: An anthology of narrative inquiry in music education (pp. 97-97) Dordrecht , The Netherlands: Springerlink. Barrett, Margaret S. and Stauffer, Sandra L. (2012). Stories of selves: A prelude. In Margaret S. Barrett and Sandra L. Stauffer (Ed. ), Narrative soundings: An anthology of narrative inquiry in music education (pp. 233-234) Dordrecht , The Netherlands: Springerlink. Barrett, Margaret S. and Stauffer, Sandra L. (2012). Troubling persistent questions: A prelude. In Margaret S. Barrett and Sandra L. Stauffer (Ed. ), Narrative soundings: An anthology of narrative inquiry in music education (pp. 289-290) Dordrecht , The Netherlands: Springerlink. Barrett, Margaret S. (2011). On being and becoming a cathedral chorister: A cultural psychology account of the acquisition of early musical expertise. In Margaret S. Barrett (Ed. ), A Cultural Psychology of Music Education (pp. 259-288) Oxford, U.K. ; New York, U.S.A.: Oxford University Press. Barrett, Margaret S. and Stauffer, Sandra (2009). Narrative inquiry in music education: From story to method. In Barrett, Margaret S. and Stauffer, Sandra (Ed. ), Narrative inquiry in music education: Troubling certainty 1st ed. (pp. 7-17) Dordrecht, Netherlands: London: Springer. Barrett, Margaret S. and Stauffer, Sandra (2009). Narrative inquiry in music education: Toward resonant work. In Margaret Barrett and Sandra Stauffer (Ed. ), Narrative inquiry in music education: Troubling certainty 1st ed. (pp. 19-29) Dordrecht, The Netherlands; London: Springer. Barrett, Margaret S. and Stauffer, Sandra (2009). Postlude. In Barrett, Margaret S. and Stauffer, Sandra (Ed. ), Narrative inquiry in music education: Troubling certainty 1st ed. (pp. 223-224) Dordrecht, The Netherlands: Springer. Prelude: Framing and re-framing the narrative possibilities for music education. Barrett, Margaret S. and Stauffer, Sandra (2009). Prelude: Framing and re-framing the narrative possibilities for music education.. In Barrett, Margaret S. and Stauffer, Sandra (Ed. ), Narrative inquiry in music education: Troubling certainty (pp. 33-34) Dordrecht, The Netherlands: Springer. Barrett, Margaret S. (2007). Music appreciation: Exploring similarity and difference. In Bresler, Liora (Ed. ), International handbook of research in arts education (pp. 605-619) Dordrecht, The Netherlands: Springer. Barrett, Margaret S. (2007). Prelude: Locating the heart of experience. In Bresler, Liora (Ed. ), International handbook of research in arts education (pp. 565-568) Dordrecht, The Netherlands: Springer. Barrett, Margaret S. (2006). Aesthetic response. In McPherson, Gary E. (Ed. ), The child as musician: A handbook of musical development (pp. 173-192) New York ; Oxford: Oxford University Press. Barrett, Margaret S. (2005). A systems view of musical creativity. In David J. Elliott (Ed. ), Praxial music education: Reflections and dialogues (pp. 177-195) New York: Oxford University Press. Barrett, Margaret S. (2005). Musical communication and children's communities of musical practice. In Miell, Dorothy, MacDonald, Raymond and Hargreaves, David J. (Ed. ), Musical communication (pp. 261-280) Oxford : New York: Oxford University Press. Barrett, Margaret S. (2005). Representation, cognition, and musical communication: Invented notation in children’s musical communication. In Dorothy Miell,, Raymond MacDonald and David J. Hargreaves (Ed. ), Musical communication (pp. 117-142) New York; Oxford: Oxford University Press. Barrett, M. S. (2003). Freedoms and constraints: Constructing musical worlds through the dialogue of composition. In M. Hickey (Ed. ), Composition in the Schools: A New Horizon for Music Education (pp. 3-27) Reston, VA., U.S.: MENC. Barrett, M. S. (2003). Musical children, musical lives, musical worlds. In S. Wright (Ed. ), Children, meaning-making and the arts (pp. 63-89) Frenchs Forest, NSW., Australia: Pearson Education Australia. Rickert, Dale L. L., Barrett, Margaret S. and Ackermann, Bronwen J. (2014) Injury and the orchestral environment: part III: the role of psychosocial factors in the experience of musicians undertaking rehabilitation. Medical Problems of Performing Artists, 29 3: 125-135. Rickert, Dale L. L., Barrett, Margaret S. and Ackermann, Bronwen J. (2014) Injury and the orchestral environment: part II: organisational culture, behavioural norms, and attitudes to injury. Medical Problems of Performing Artists, 29 2: 94-101. Rickert, Dale L., Barrett, Margaret S. and Ackermann, Bronwen J. (2013) Injury and the orchestral environment: Part I: the role of work organisation and psychosocial factors in injury risk. Medical Problems of Performing Artists, 28 4: 219-229. Rickert, Dale, Barrett, Margaret, Halaki, Mark, Driscoll, Tim and Ackermann, Bronwen (2012) A Study of Right Shoulder Injury in Collegiate and Professional Orchestral Cellists: An Investigation Using Questionnaires and Physical Assessment. Medical Problems of Performing Artists, 27 2: 65-73. Barrett, Margaret S. (2007) 'Surface and depth': Generative tensions for a 'Comprehensive' view of music education. Music Education Research International, 1 1: 25-41. McGill, Michele and Barrett, Margaret S. (2006) What if rationalists wore sombreros? : Some transformative possibilities for teacher education. The International Journal of Learning, 12 10: 237-242. Smigiel, H. and Barrett, Margaret S. (2005) Young voices: New perspectives. NJ (Drama Australia Journal), 29 2: 3-16. Barrett, Margaret S. (2004) Thinking about the representation of music: A case-study of invented notation. Bulletin of the Council for Research in Music Education, 161/162: 19-28. Barrett, Margaret S. and Smigiel, Heather (2003) Awakening the 'Sleeping Giant'? : The arts in the lives of Australian families. International Journal of Education and the Arts, 4 4: . Barrett, M. S. (2003) Meme engineers: Children as producers of musical culture. International journal of early years education, 11 3: 195-212. Barrett, M. S. (2002) Invented notations and mediated memory: A case-study of two children's use of invented notations,. Bulletin of the Council for Research in Music Education, 153/154 55-62. Smigiel, H. and Barrett, M. S. (2001) Imaginative reflection: towards a model for pre-service teacher learning in the arts. Arts and Learning Research, 17 1: 37-60. Barrett, Margaret (2000) Windows, mirrors, and reflections: a case study of adult constructions of children's musical thinking. Bulletin of the Council for Research in Music Education, 145: 43-61. Barrett, M. (1999) Modal dissonance: an analysis of children's invented notations of known songs, original songs, and instrumental composition. Bulletin of the Council for Research in Music Education, 141: 14-20. Barrett, M. S. (1993) Integrating music into the early childhood program. Australian Journal of Early Childhood, 18 1: 41-48. Barrett, M.S. (1993) Music in the early childhood classroom: an expressive medium. Australian Journal of Early Childhood, 18 1: 23-28. Smigiel, Heather M. and Barrett, Margaret S. (2008). From the mouths of babes: The importance of learning communities in arts education in primary and secondary schools. In: Proceedings of AERA 2008 Annual Meeting. Research on Schools, Neighborhoods, and Communities: Toward Civic Responsibility. AERA 2008 Annual Meeting, New York, NY, U.S.A., (). 24-28 March 2008. Music appreciation: Cultivating the "art of the possible"
Barrett, Margaret S. (2008). Music appreciation: Cultivating the "art of the possible". In: Proceedings of AERA 2008 Annual Meeting. Research on Schools, Neighborhoods, and Communities: Toward Civic Responsibility. AERA 2008 Annual Meeting, New York, NY, U.S.A., (). 24-28 March 2008. Barrett, Margaret S. (2008). Sounding stories, sounding lives: Narrative accounts of young children's identity work in and through music. In: Proceedings of AERA 2008 Annual Meeting. Research on Schools, Neighborhoods, and Communities: Toward Civic Responsibility. AERA 2008 Annual Meeting, New York, NY, United States, (). 24-28 March 2008. Stauffer, Sandra L. and Barrett, Margaret S. (2006). Narratives of "Public Interest": The Role of Locality and Place in Teachers' Educational Decision Making. In: Education Research in the Public Interest: American Educational Research Association 2006 Annual Meeting. American Educational Research Association 2006 Annual Meeting, San Francisco, California, (). 7—11 April 2006. Mills, Janet and Barrett, Margaret S. (2006). Raising boys' achievement? : Music as everyday life. In: Proceedings of: 27th International Society for Music Education World Conference. 27th International Society for Music Education World Conference, Kuala Lumpur, Malaysia, (861-867). 16-21 July 2006. Barrett, M. S. and Mills, J. (2006). Reflexive observations: Seeing, hearing, feeling towards narrative understandings. In: Narrative Soundings: 1st International Conference on Narrative Inquiry in Music Education (NIME 2006), Phoenix, AZ, U.S.A., (). 5-7 April 2006. Barrett, M. and Smigiel, H. (2005). Uncompromising messages: Lessons from the arts to education. In: Backing our creativity: research policy practice : national education and the arts symposium 2005 : symposium proceedings. National Education and the Arts Symposium, Melbourne, Australia, (). 12-14 September, 2005. Barrett, M.S. (2004). Children as music critics. In: Andrea Giráldez, Sound worlds to discover. Proceedingsof: ISME 2004, 26th International Society for Music Education World Conference. XXVI International Society of Music Education (ISME) 50th Anniversary World Conference for Music Education 2004: Sound Worlds to Discover, Tenerife, Spain, (). 11-16 July 2004. Barrett, M. S., Forrest, D. and Smith, R. (2004). Kabalevsky and Kodaly: Crossing borders between sound worlds. In: Andrea Giráldez, Proceedings of the 26th International Society for Music Education World Conference. Sound worlds discover: 26th International Society for Music Education World Conference, Tenerife, Spain, (). 11-16 July 2004. Barrett, Margaret (2004). Musical ecologies: An examination of the mutually constitutive nature of cultural and individual processes in children's musical learning and development. In: Michele Biasutti, Psicologia e Educazione Musicale. Proceedings of: Simposio Internazionale Psicologia e Educazione Musicale. PME04: Simposio Internazionale Psicologia e Educazione Musicale (International Symposium on Psychology and Music Education), Padova, Italy, (). 29-30 November 2004. Barrett, Margaret (2003). "It's my gift": A case study of tutor and conductor perceptions of an intensive residential music camp in their lives. In: 4th Asia-Pacific Symposium on Research in Music Education. 4th Asia-Pacific Symposium on Research in Music Education, Hong Kong, China, (). 9-12 July 2003. Barrett, Margaret and Smigiel, Heather (2003). "The spark of an idea": Students making the connections between education and imagination. In: Proceedings of: First International Conference on Imagination and Education. 1st International Conference on Imagination and Education (IERG 2003), Vancouver, BC, Canada, (). 16-19 July 2003. Barrett, Margaret S. and Smigiel, Heather M. (2003). All the chalk would be white: Australian children's perspectives of the meaning, value and purpose of the arts in their lives. In: AERA 2003: "Accountability for Educational Quality: Shared Responsibility". 84th Annual Meeting of the American Educational Research Associatio, Chicago, IL, U.S.A., (). 21-25 April 2003. Barrett, M. S. and Smigiel, H. (2003). Children's learning communities in the arts: A strong imperative. In: Peter L. Jeffery, Proceedings of: New Zealand Association of Research in Education (NZARE) and Australian Association of Research in Education (AARE) Joint Conference 2003: Educational Research, Risks and Dilemmas. NZARE/AARE Joint International Conference 2003: Educational Research, Risks and Dilemmas., Auckland, New Zealand, (). 29 November-3 December 2003. Kilpatrick, Sue, Barrett, Margaret and Jones, Tammy (2003). Defining learning communities. In: Peter L. Jeffery, Proceedings of the Joint New Zealand Association for Research in Education (NZARE) & Australian Association for Research in Education (AARE) International Conference, Auckland, New Zealand. Joint New Zealand Association for Research in Education (NZARE) & Australian Association for Research in Education (AARE) International Conference, Auckland, New Zealand, Auckland, New Zealand, (). 29 November - 3 December, 2003. Barrett, Margaret and Smigiel, Heather (2003). Teaching for education and the imagination: Students' perceptions. In: Proceedings of: First International Conference on Imagination and Education. 1st International Conference on Imagination and Education (IERG 2003), Vancouver, BC, Canada, (). 16-19 July 2003. Barrett, Margaret S. (2000). Perception, description, and reflection: young children's aesthetic decision-making as critics of their own and adult compositions. In: 18th International Society for Music Education ISME Research Seminar, Salt Lake City, UT, United States, (22-29). 8 - 14 July 2000. Art of Craft? Conducting for Balley. Learning, identity work and music use in young garage bands.